Sam Worthington, Octavia Spencer and Graham Greene star in this US drama based on the novel by William P.
Young. After his youngest daughter is kidnapped and murdered by a serial killer on a family camping trip, Mack Phillips (Worthington) spirals into a deep depression and begins questioning his faith. When he receives a letter urging him to return to the site of the crime, Mack believes it is from God and decides to follow his heart into the wilderness. 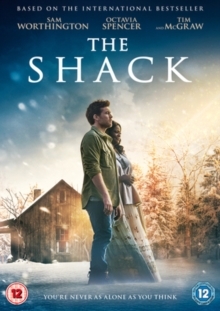 Back at the shack in the woods, Mack begins a fantastical spiritual journey that might just restore his dwindling faith and allow him to heal after he receives guidance from the Holy Trinity.